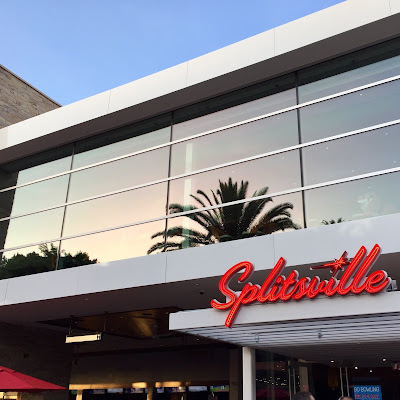 I didn't go to Splitsville, the new bowling alley and restaurant in Downtown Disney, to go to Splitsville. I went because there was a band that was performing on the Downtown Disney stage that I wanted to see. And to see that band I had to park. And to park at Downtown Disney nowadays (lest I wanted to pay a small fortune in fees) I am forced to purchase at least $20-worth of food at a quick service restaurant (or merchandise from a store) to get the 3 hour validation. If I wanted 5 hours of validation, I'd have to go to a table service restaurant. I opted for Splitsville for three reasons. First, I'd get the maximum amount of parking time. Second, it was an opportunity for us to check out the thing that replaced House of Blues. But third and most important, Splitsville seemed the cheapest of all the table service options. I thought to myself, "How expensive can place that serves burgers and nachos be?" The answer is very. Splitsville turned out to be one of the most expensive restaurants I've encountered at Downtown Disney. 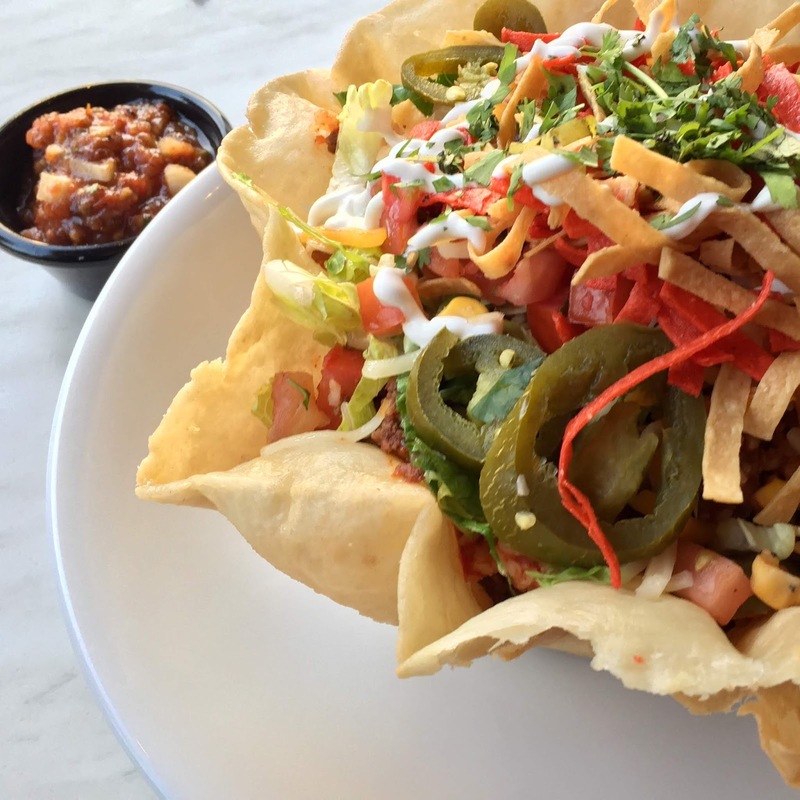 The taco salad you see above is a whopping $24. Granted it wasn't much of a salad. It was more of a rice bowl. It contained more clumpy Spanish rice and movie theater-style pickled jalapeños than lettuce. Thinking that we needed something else to add to meal, we also ordered the $14 California roll from the sushi roll menu. That there was sushi here is noteworthy because it automatically makes Splitsville the only place in Downtown Disney or, in fact, the entire Disneyland Resort property, to serve anything resembling Japanese food. 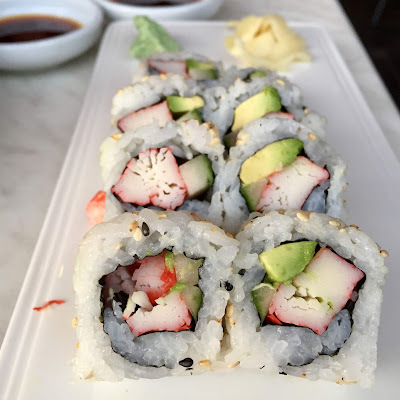 But before you rejoice, the roll tasted as though it came one of those pre-packaged plastic boxes found at airport kiosks or the forgotten deli bin at the local Stater Bros. However, to me, since it cost twice as much, it tasted half as good. The rice was a gummy paste and the imitation crab was as dry as chalk. Despite the cost and the bad food, I do have a few nice things to say about Splitsville. It is massive. Constructed mostly of glass, it is two levels of Googie--something out of the Jetsons. 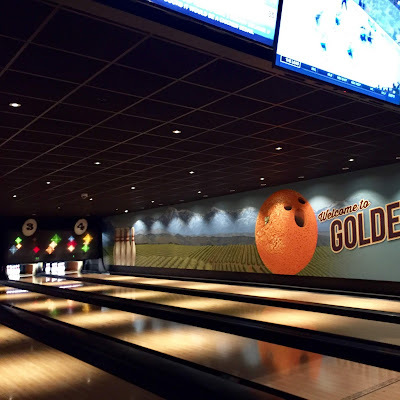 And as far as the bowling lanes, there isn't just one big one, there are a whole bunch of tiny ones, scattered throughout the labyrinthian building and encompassing two floors. 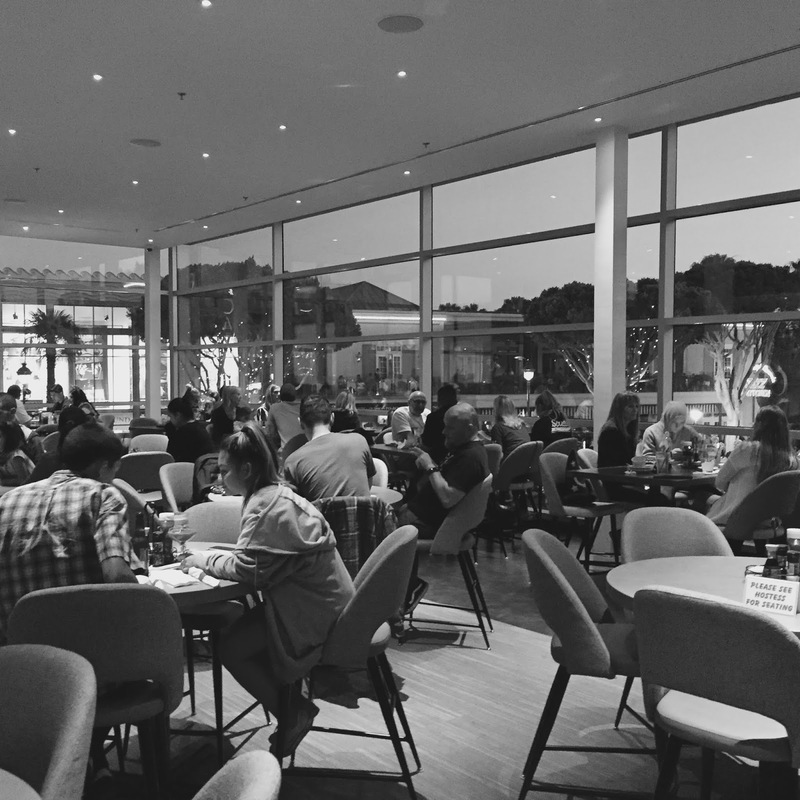 There are also two kitchens on both levels, each the size of full-sized restaurants themselves. I also liked our server. When I asked him at the beginning of the meal if there was a minimum purchase amount for parking validation, he smiled and said, "Yes, there is!" as he winked his eye like a vaudevillian. To prove that he cared more about us than abiding by some arbitrary mininum purchase requirement, he offered to validate the ticket for me on the spot, even before I ordered anything. "What a charmer!" I thought. By the end of it, counting a larger-than-usual tip for our server, I paid exactly $50 for that overpriced taco salad and that horrendous sushi roll. I may have been completely wrong about my decision to go to Splitsville, but I know a good server when I see one. I am amazed at the crowds of people, families and groups, at DT Disney on a weekend, all forking over tons of money for what is offered there, at the various locations. I used to go there occasionally to get a walk in and get a bite of Big Easy food at Brennan's outdoor cafe, but no longer. You and me both! Before they started this new parking policy, I made it a point to NEVER eat at Downtown Disney. It's such a rip-off. And Zankou, and so many other options are not far away.